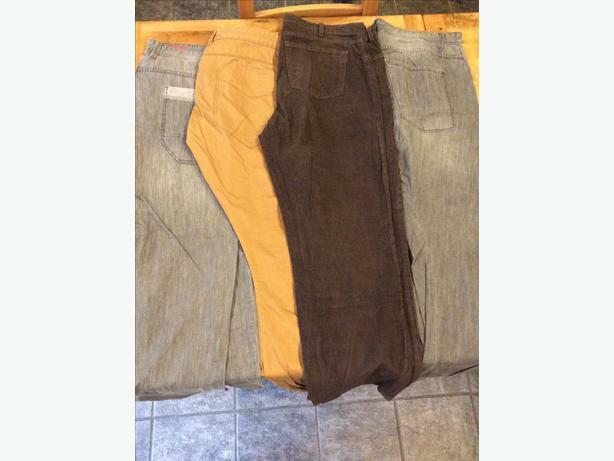 Four pairs of men's casual trousers, two are grey jeans (one with cuff bottoms). Brown smart cord trousers and the other pair have cuff bottoms. £10 for the four pairs. Excellent condition. Collection only, Sedgley area.